Abus maybe aren't a name we are so familiar with in mountain biking. In the lock world they're a big deal though, and have been handmaking them in Germany since 1924. At some point in those 90 odd years they diversified into helmets too and it was one of those helmets that brought us to their stall. Their new Kranium helmet is utterly unique. It started life with an engineer watching a woodpecker. Seeing that bird beat its head repeatedly against a hard wood tree a question formed: how do they deal with constant impacts? Studying their skulls he discovered that they were made of a unique structure that absorbed the impacts. Trying to replicate it he developed the unique lattice of cardboard which forms the heart of the Kranium. "A cardboard helmet?" We asked that question too when we first saw it. However, the first thing you have to remember is that this helmet is on sale, which means it has passed the European standards. 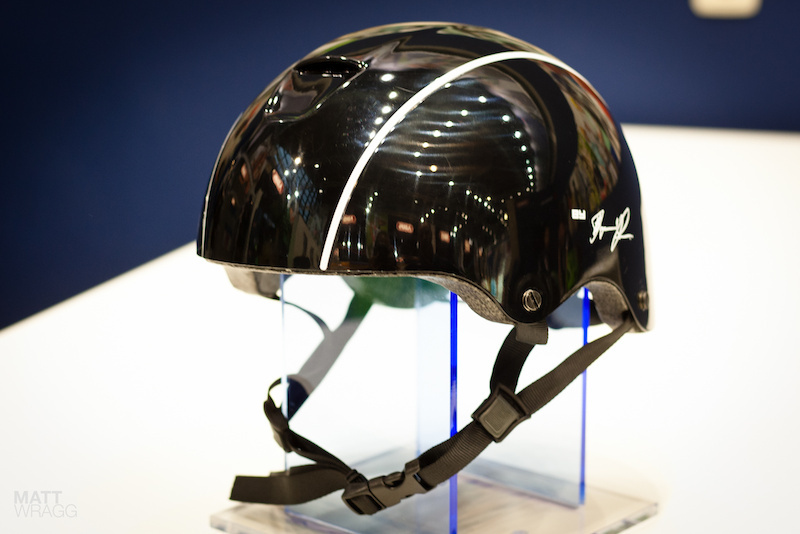 Talking to Abus they explain that they believe this is one of the safest helmets out there. They say that in lab testing the lattice frame was three times more effective than an eps liner and retained its structure much better for subsequent hits. Abus don't just take a supermarket box and cut it into helmets either, the material is treated for both fire resistance and waterproofing. One very big advantage of cardboard is also the recyclability - cardboard is a sustainable source of material. 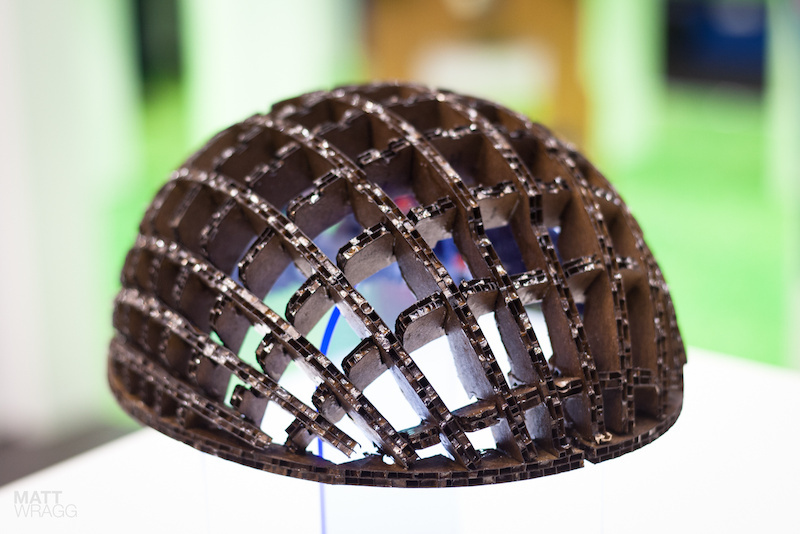 There is a small eps liner, mainly to stop the cardboard from driving a pattern into your head if you do crash. We are left with a lot of questions about this helmet, will it really work being the first one as we want to see this for ourselves. We also need to understand what kind of riding it is suitable for - would it stand up to a big hit downhilling, for instance? 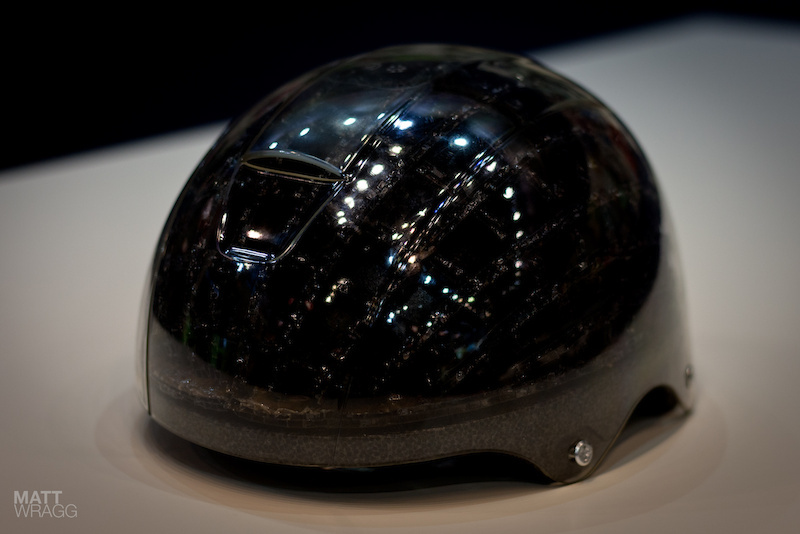 However, it looks to be a light, safe and environmentally-friendly helmet and we can't wait to find out more about it. 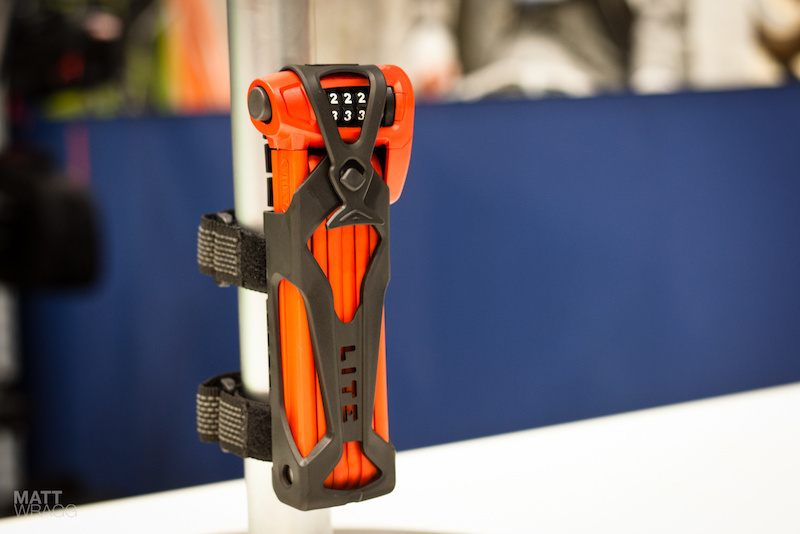 A light, strong lock suitable for mountain bikers? Along more traditional lines for Abus is this Bordo Combo Light lock. 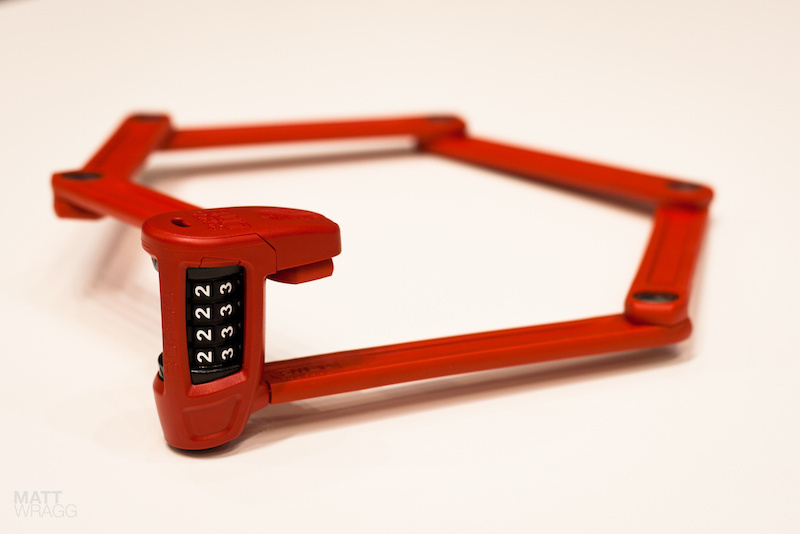 Weighing in at just 650g this is a tough, light and easily portable lock which might be just the thing you are looking for, if you're not keen on leaving your bike unsecured. To test that the mounting for the carrier is suitable for mountain bikers, they got their test riders to spend a day throwing down 360s and backflips to make sure it stayed in place. That's our kind of testing. It is also available in two burlier numbers, depending on how sketchy your local area is. Love these! I really want to see some tests of that lock too. cut tests and such to see what they will stand up to. "Trying to replicate it he developed the unique lattice of cardboard which forms the heart of the Kranium." Cardboard helmet sold as the Kranium. That makes a lot of sense. Careful, no smoking around these helmets! They are highly flammable! The locks take about 20 seconds to cut through. Sweet! I want a pair! I have their meaner lock. I have used it for over 2 years now. Quick, and convenient- but mine is heavy. Really heavy. I use the two straps and the bottle cage mounts to secure and it comes loose twice per semester or so because of it's heft. However, it is the single best investment I have made on my bike. Commuter bike; I would never leave my mtb unattended for any reason. jaybird951. it says in the next paragraph "treated for both fire resistance and waterproofing"
Be aware where you lock it, strong lock - weak pole, common mistake. Five seconds job with hydraulic pliers. I'll never ever leave my bike without an eye on it no matter how good my lock is. I've got a kryptonite new yorker, with a long, thick kryptonite cable that goes around my wheels, underneath my fork crown and around the lock.. and i take my seat and seat post with me. Even with all that though, i know that any lock is more of a deterrent than a form of protection. The best thing you can do if you're going to lock it up, is lock it next to a bike that's got a shittier lock than you. "the material is treated for ... fire resistance"... where do they think I'll be riding!? Based on a lot of the POD comments lately...Mordor? Mordor! Yes, we will be lunging into battle for Middle Earth with the Gollum and the woodpecker nation while riding our 650Bs! Gandolph: "Even during the war between Sauron and the rest of the world a debate raged on, deep in the midst of the human army." NO WAY BRO! NO NO, A 650B CANNOT COMPARE TO THE EASE AT WHICH YOU CAN THROW A SPEAR ON A 29r! I agree, spears flying off highspeed 29er like my intense hard eddie will penetrate the heart of many vile creatures! Does the helmet come in a kit where you punch out all the ribs, like scale model aircraft? Ah, just jokes. I think cardboard as a crushable material makes lots of sense. A see-through helmet? I want one for commuting to shove some little LEDs in there and make me look like a smart phone, hopefully attracting the driver's attention from their own so they'll stop SMSing for a minute. See, this is why I love my southern neighbours. Precision, effectiveness and forward thinking engineering. The helmet design seems like a really good idea. 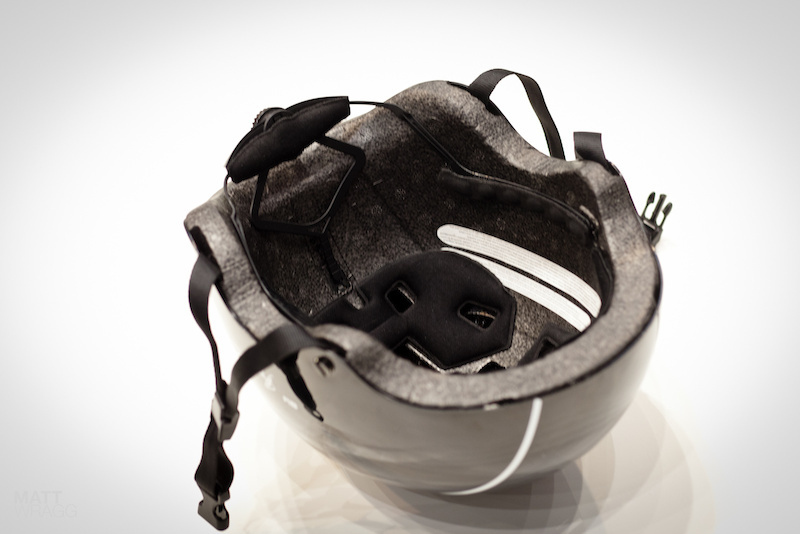 You want a helmet absorb the energy if you take a nasty spill, not resist it. Even if this means buying a new helmet every time it takes a serious knocking. Certainly none of you tools ever had a lock like Abus, hmm?? Watch gone in 60 seconds. It shows that bike locks will not stand up to a set of bolt cutters. I just bought a $60 garage sale bike to ride around campus (no would want to steal it). I am either holding or sitting on my mtb. I keep it in my dorm otherwise. "the first thing you have to remember is that this helmet is on sale" - 'On sale' and 'for sale' - a subtle but important difference. Nice looking helmet that does not resemble hamburgers. Even has vent in back to let out brain farts. Both lookin' sweet, the kranium is definitely my next lid. This sort of selfishness is why our kids helmets will have oxygen masks, and a radiation force field, and there'll be nowhere to ride mountain bikes. Helmet looks awesome. I'll be trying to get one. Lock looks good, what really matters though is how strong it is. Kinda just makes me want to take "A bus" instead.... couldn't resist... cool lock though! am i the only one thinking that the lock in a way is stupid because it looks like it is held together on each piece by a screw or something with an allen key head so that some one could just un-screw the piece off and take your bike. can see them up close tho so im not sure if you can unscrew them. The Helmet is definately really cool tho. Do you really think they would be that stupid? 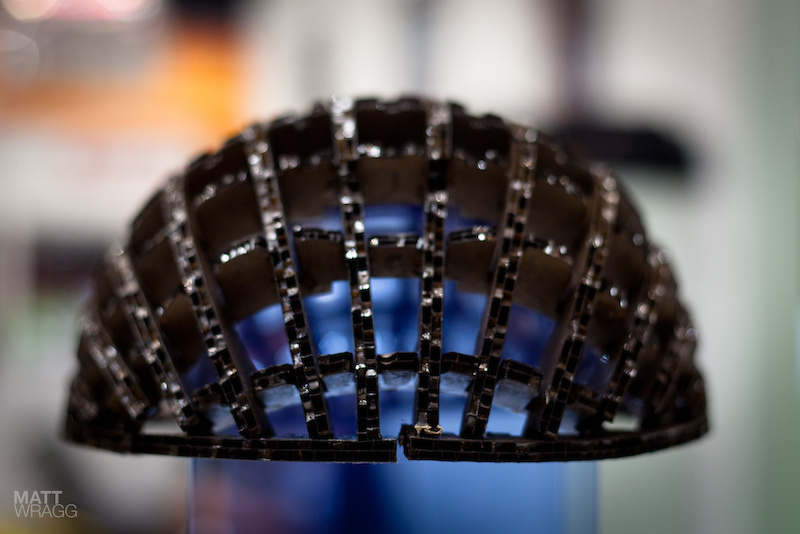 that lattice helmet is one untested product. crash with it and you will get all kinds of crap caught in your cranium including rotten woodepeckers, rocks, sharp objects, and rodents! that is the dumbest helmet known to man, it s not even a helmet, not sure whose safety tests it would pass. this is similar to other inflatable helmet in a different article. thumbs up. not sure what all that comes out needs to be advertised, it should be reviewed. i think the person that put together the woodepecker helmet stared at one too many egg containers, not woodpeckers! Your commend is soo stupid, there is not even a response on that possible !